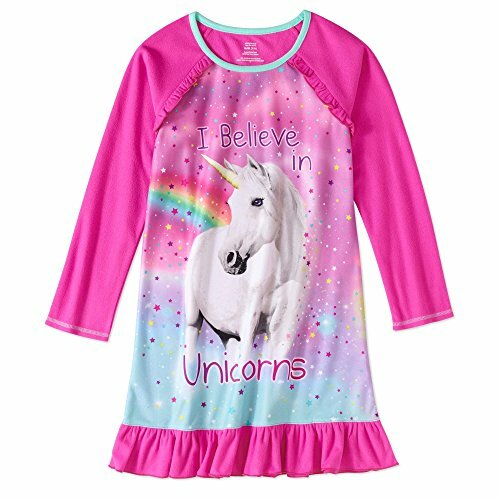 This unicorn get up is super cool and not unicorn-ey at all! This layered tutu suit is manufactured for wide application, such as photography, stage performance, party, etc. With elastic waistband, it is suitable for most women to wear. Made of top-class material, it is of good quality for comfortable wearing. 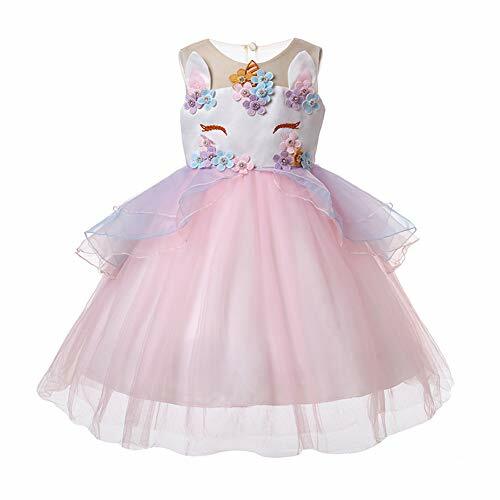 Such a stylish and nice-looking suit will make your girls more attractive.It works great for ballet dancing, Various parties, dress up costumes,birthday gift, photograph, comfortable to wear everywhere,school,dance class,playground,shopping or travel. 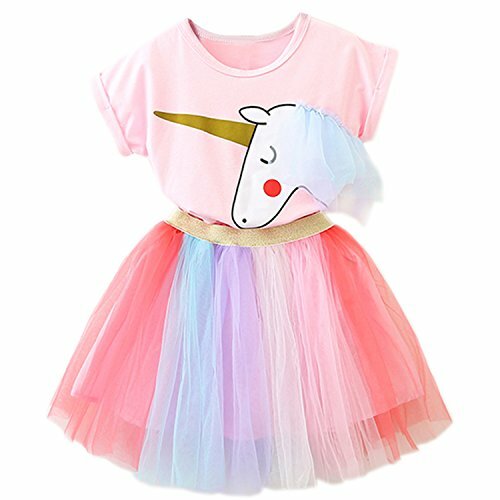 This unicorn party dress and horned headband is absolutely perfect for your princesses unicorn themed birthday bash! It is soooo fluffyyyy! Seriously, it is a stunning must have. 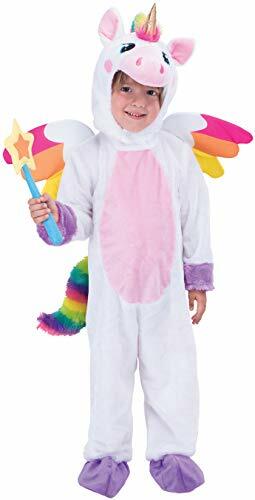 The costume itself is soft and vibrant, and the detachable (with velcro) wings are fun for my daughter to put on. 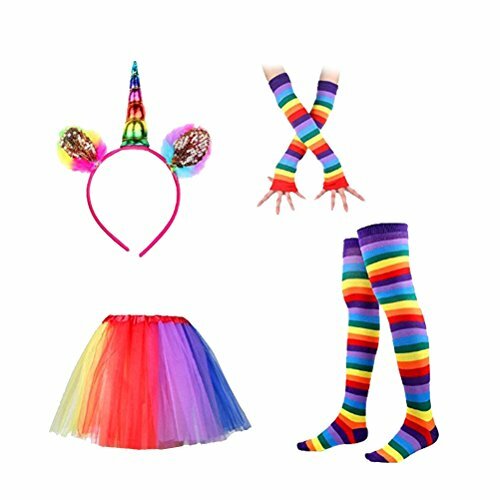 The costume also comes with a unicorn head/hat that Velcros under the chin. The colors are bright, the velcro for the wings works well. This is the most adorable unicorn I have ever seen. 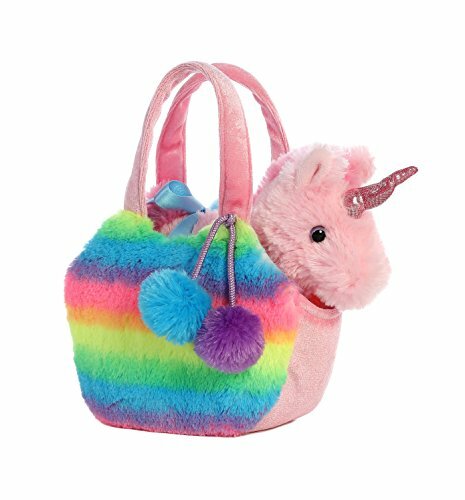 It is so so soft and just makes you want to cuddle it all day long.I didn’t realize this was a Precious Moments brand until I received it... so not only is it a cute and functional purse but also an adorable unicorn plush made by a popular company who makes collectibles. I am in love! Pink T-shirt, Cotton fabric and round neck. Unicorn pattern printed in front of the T-shirt. Rainbow tutu skirts with elastic made of tulle. Go ahead.... your child will love it and you won't regret your purchase. 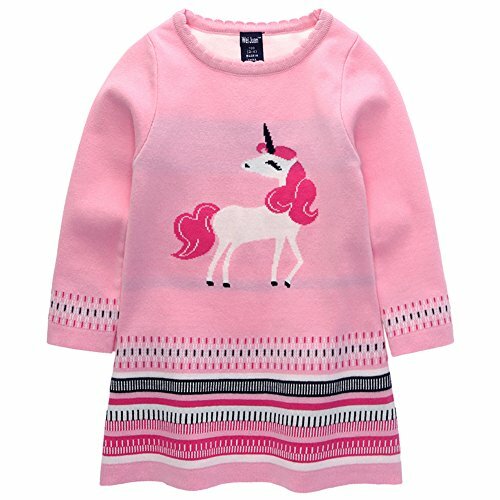 This unicorn sweater will keep your little warm this winter. It is such a pretty shade of cotton candy pink and would pair really well with a nice set of leggings. This is def on my christmas list this year. Uniscarf! This is a unicorn hat with an attached scarf and gloves at the ends of the scarf. Perfect for the chilly winter season and a great xmas gift idea. 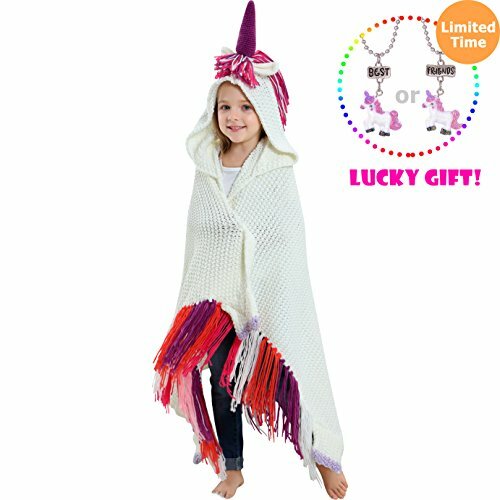 Hooded Unicorn Blanket(36" W x 40" L.): Handmade crochet, horn, fringe throw, unicorn tails and wearable "hand", Knitted main body blanket. The pattern is super fun! Obsessed Cute. 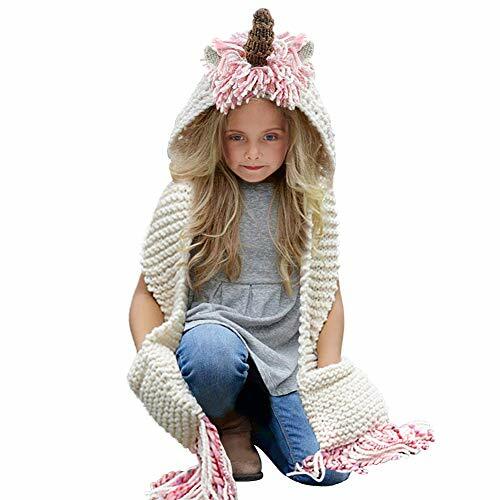 VERSATILE Blanket: the fun unicorn blanket is perfect for camping, sleeping, traveling and reading companion, pretend play and nap time, as seen on TV, cuddly fun for everyone. There’s an old song that goes “Rain, rain; Go away. Come again another day.” Your kids won’t sing THAT, when they have Rainbow Daze rain boots to put on. What makes these favorites is the imaginative play that each fun print and boot design provides. 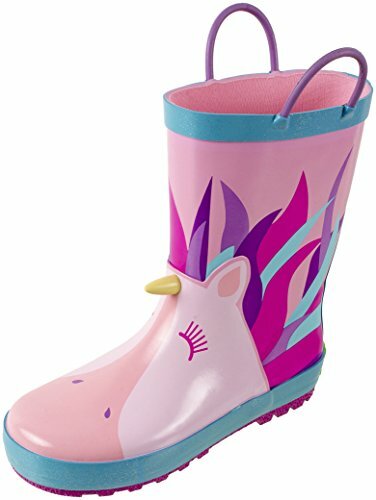 Stomp through puddles like a unicorns. After all: Who needs the Sun, when you can have a Splash of Fun?! ?